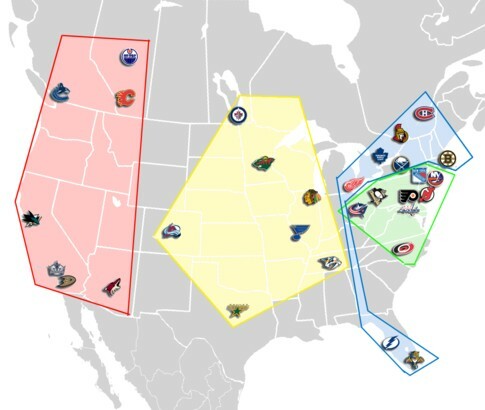 Once again the NHL is trying to come up with a realignment of conferences/divisions. The latest proposal would eliminate divisional play and create four conferences. Here are the proposed new conferences. Florida and Tampa Bay versus Montreal, Ottawa, and Toronto. Columbus and Detroit NOT in the same conference. New York Islanders and New York Rangers NOT in the same conference as the Buffalo Sabres.